SHE TEA @ THE DEPOT!!! A Traditional, Poolside TEA DANCE for WOMEN! 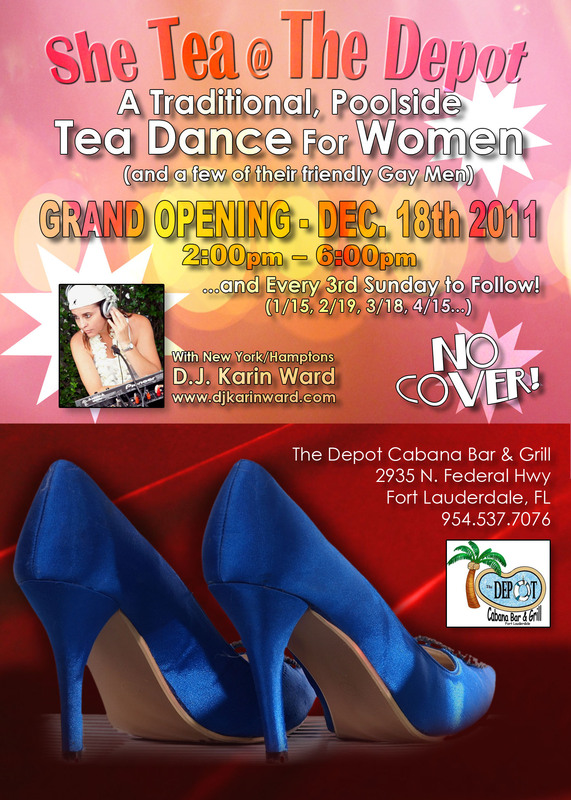 GRAND OPENING – SUNDAY DECEMBER 18th! EVERY 3rd SUNDAY OF THE MONTH TO FOLLOW! Please visit the Events page for all listings!